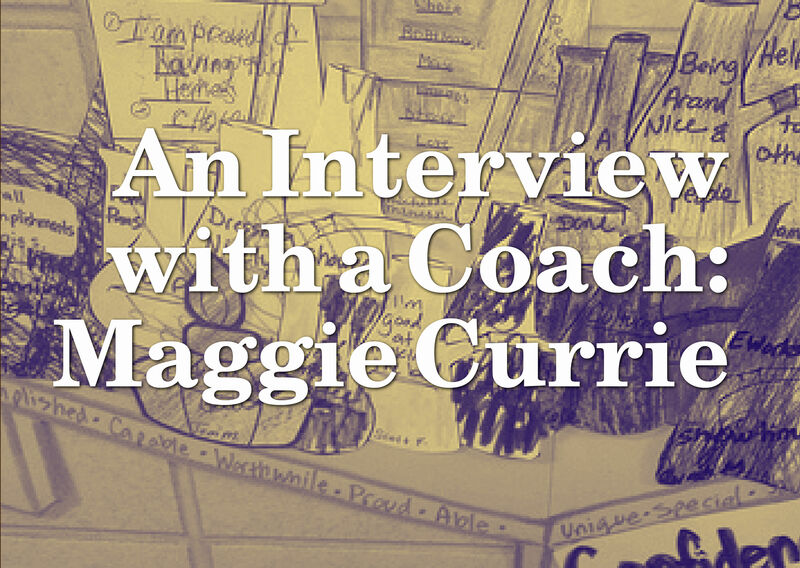 We talked to coach Maggie Currie recently. She told us about what inspires her in coaching, why she loves specializing in confidence coaching, and how she helps to rebuild her clients' confidence. LIFE COACH HUB: Maggie, thanks for taking the time to talk to us today. Let's start with what inspires you. What is your passion in coaching and what does it allow you to achieve in the lives of others? Coach Maggie Currie: My passion is confidence coaching which is about helping people to become the very best version of themselves. I love watching people change from a scared little mouse into a strong confident person who knows what they want, where they want to be and are willing to go out and get it. It takes lots of trust and time to rebuild confidence and stop the feelings of overwhelm, but encouraging people to regain their direction in life and begin to really live their own lives is so rewarding. My ideal client is a woman aged 40+ who has had her life suppressed by marriage, divorce, loss, life trauma. She has lost her way and her identity over time. She is in a relatively high income bracket with a good job and although she looks good on the outside, she is starting to crack up on the inside. I coach people how to change their lives. For instance a young lady came to me and said she wanted to do something different but didn’t know what and that she had very little time left. She was 39 and because her mother had died at age 39 she firmly believed that she would too. We had several sessions and she learned that what she really wanted to do was travel and off she went to Malaysia for six weeks. She travelled on her own on trains, planes and boats and when she came back she was so thrilled at what she had accomplished that her whole attitude had changed. Now she is mid forties, in a new relationship, in a new town, with a new job and living her life to the full. Not worrying about dying any longer. LIFE COACH HUB: What is the most common challenge clients bring to you to help them with? Coach Maggie Currie: Each person is so different, but I suppose the most common is lack of self belief. They just don’t believe they can change this or that. But I show them that by changing their attitude towards whatever it is makes a huge difference and they can achieve it. Thought Field Therapy works so well with coaching as it removes the anxiety associated with fears and traumas. One lady came to me saying that she could not deal with confrontation. She runs a shop and one of her staff would argue with her about something and she would back down and feel that she was wrong, even though she knew she was right. Similarly when customers confronted her, she would feel in the wrong. We had a session with TFT and removed the anxiety associated with the fear of confrontation, and now she is so much better. She called me on the phone a week or so ago and said she just had to tell me that she had been confronted by a customer and she had stayed calm, stuck to her guns and not felt like she was in the wrong, and sorted the problem. She said she felt ok, the customer was happy and she was so excited that she had to call me and tell me there and then. LIFE COACH HUB: How would you characterize your coaching style? Coach Maggie Currie: I am told that I have a gentle and down to earth approach with great insight. I expect my clients to work hard on themselves and encourage them as much as possible. I don’t necessarily believe that a coach should be non directive, as often clients need some direction and they are not sure how to find it. I prefer to really listen to what my clients have to say, make sure I have understood what they have said, and then work from there. I work with positivity and encouragement rather than negativity and accusation. 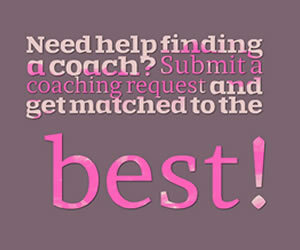 LIFE COACH HUB: Many people might not know exactly what a coach does for a client. Can you describe how you work with a client through a particular issue? Coach Maggie Currie: I was working with a client who claimed that her relationship was breaking up with her boyfriend and her relationship with her teenage daughter was rocky. I asked loads of questions around the relationship and her work and the real problems popped up. She felt overwhelmed at work. It appeared that the job she did within a large organisation had no cover for holidays or sickness. So when she went on holiday for two weeks or was off sick when she came back to work her desk was piled high with work and she felt she had never been away. It seemed that he job was quite specialist and involved vulnerable children so there was a lot of sensitive stuff. She also told me that she couldn’t shut off from work, she was always thinking about it and it was affecting her home life. Hence she thought her relationship was in difficulties. She further worried about the fact that she always wore black clothes to work. I asked her to consider options in relation to each of these areas. I asked her if there were any other people in a similar position to her within the organisation and she said there were. I asked her if one of those people could be trained to do the mundane work while she was on holiday, to cover some of her work, in return for her doing the same for them. She said that was a possibility. I asked her, in relation to not shutting off from work, if she could be two people, work person and home person. She had a half hour drive to and from work and in those times she could on the way to work begin to become work person and on the way home begin to become home person. She said that was doable and she would give it a try. I asked her why she always wore black to work and she said because she had worn it on the first day, in the first week of work and didn’t feel she could change now, although she had seen a lovely purple top with butterflies on it. I asked her if she thought other people would laugh at her and she said they might. I suggested to her that they probably wouldn’t and they would even be delighted to see her in a different colour, but whatever she chose to wear was her choice and nobody else’s and that what other people think is none of her business. "Things are really good. There is very much a difference in my home life now, very rarely do I even think about work, which is great. Even my daughter has noticed a difference. I don't seem to get stressed like I used to. I really can't thank you enough for your help! Oh, and I bought that purple top and I wear it to work and other people love it." 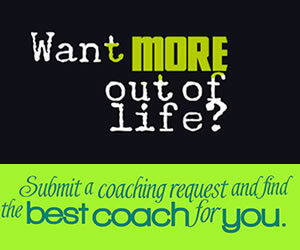 LIFE COACH HUB: What has been the most inspirational moment in your coaching career? During my very first workshop back in 2006 a young lady came to it in the morning looking like a little scared mouse, she was crying and all hunched up. As we progressed through the day she began to unhunch herself and stopped crying. By the end of the day she had walked out of the workshop with a huge smile on her face, a physical picture of the life she wanted and the confidence to go out and get it. LIFE COACH HUB: What do you think the future of coaching will bring? That is a tough one, as coaching is different things to different people. I am hopeful it will bring a change to the collective consciousness of the world so that more people are confident enough to stand up for themselves and to live their lives on their own terms. LIFE COACH HUB: Thanks again for this enlightening discussion, Maggie! Any parting words? I know what my clients have been through, I used to be scared to say anything and was very shy indeed. I have been through emotional, psychological and financial abuse within a toxic relationship and have hit rock bottom. I know there is a way out and that is what I want to do for my clients, show them there is a way out and that life is not hopeless. Maggie helped me to make one big decision that led to another, and another, and another - and that's how my life changed for the better! — JL. Milton Keynes. Maggie has written two books, What You Believe Creates Your Reality, and 7 Stepping Stones to Rebuilding Confidence in Yourself. Questions for Maggie? Want to get in touch? Leave a comment below or contact her. Choose a Top Coach for confidence	success today! Debra O'Keefe Empowerment & Transformation Coach I'm here to work, grow, and learn with you! I won't quit until we find your fit! Derrick M Long Success Coach for Introverts I help introverts to find their hidden superpowers to gain more confidence. Quotes About Self Confidence: Inspiring Be Confident Quotes!